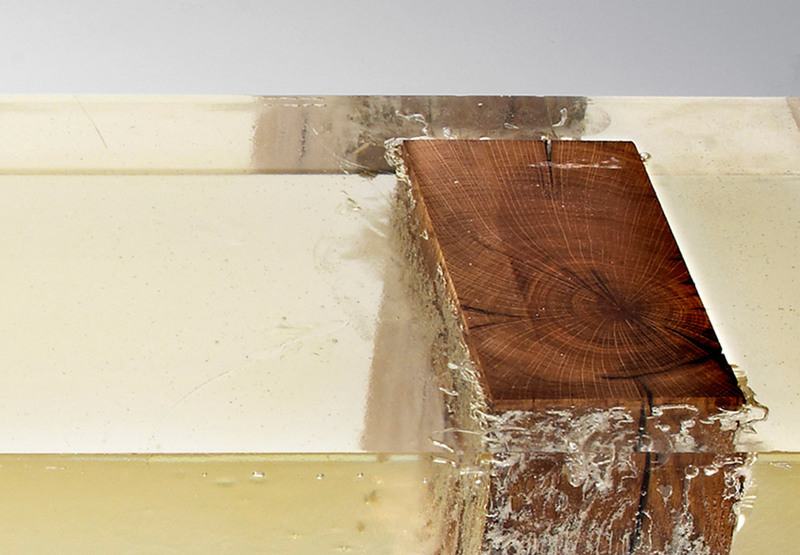 Wood Fossil as impurities, inclusions. 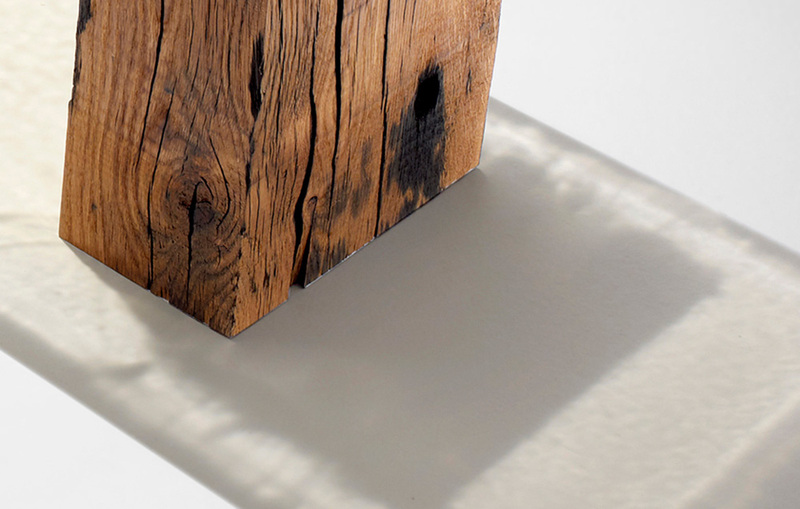 Wood Fossil as resins fossil. 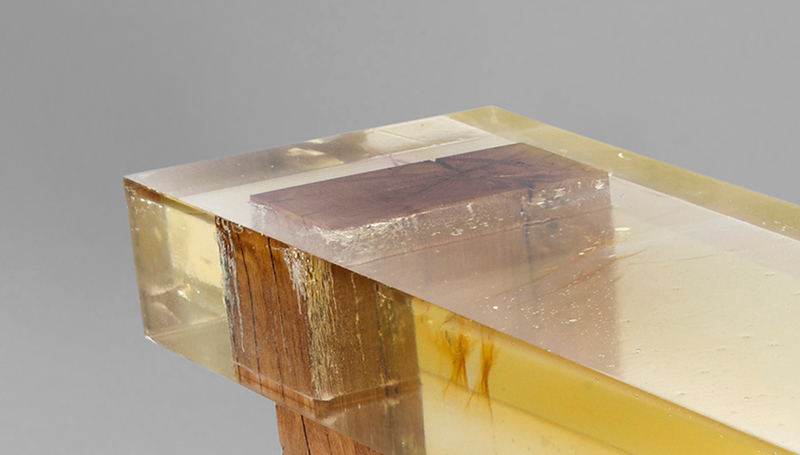 The fossilization process evolving, dissolving, leaving an object half fossil, half materialized. 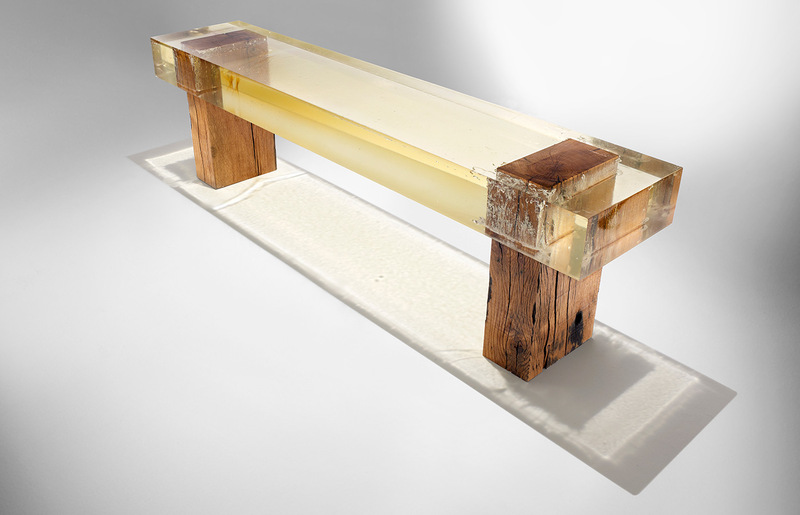 The wood fossil bench is realized in up-cycled quality wood and resin. 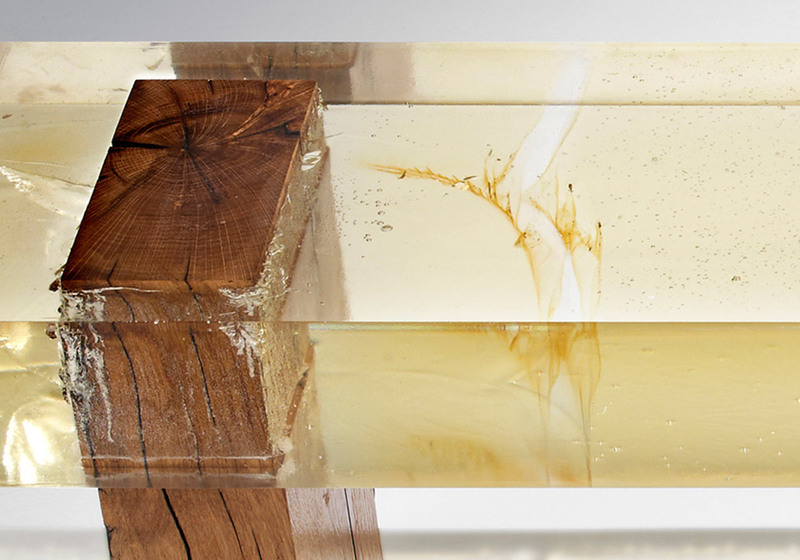 The bench consists of a single block of resin that keeps the relationship between the dissolving piece of wood alive. 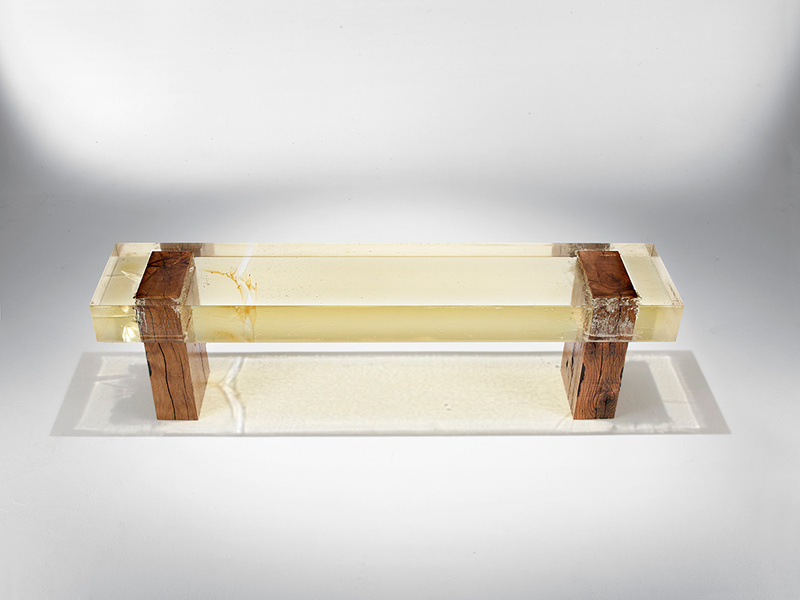 The pieces in the fossil Wood Fossil bench introduces a new chapter of unique projects inspired by the destruction of matter, as a result of time passing by.